Wireless technology is ever-changing, but West Virginia residents and businesses can stay on the cutting edge in 2015 with a little insight on upcoming industry trends. Jay Ellison, executive vice president of operations for U.S. Cellular, says 2015 will bring even more options to customize and revolutionize the way we use wireless devices. We’ve become accustomed to checking our symptoms online, but technology will have an even greater impact on how we monitor health. Ellison expects to see increased use of “telemedicine,” which allows people to contact trained medical professionals from home or work via smartphones and tablets. They’re able to discuss symptoms and health concerns and get prescriptions or treatment. As the technology evolves and more doctors and consumers experience the convenience, this trend will expand in the health care field. There also will be a higher demand for add-on accessories, such as heart-rate monitors and blood testers, as well as smart watches that deliver these services. With Apple, Samsung, Motorola and LG all planning to offer an assortment of wearable devices in 2015, the opportunities to monitor and improve health through a wireless device get even easier. Mobile technology will play a bigger role in the growth of small and large businesses with a broader move to machine-to-machine (M2M) innovations. M2M technology allows wireless and wired systems to communicate with other devices of the same type, such as vehicle or fleet tracking systems. In the last year, M2M adoption has increased by more than 80 percent, with 22 percent of companies now actively using the technology. Tablets have exploded in popularity over the past two years as an entertainment device, and we’re now seeing the devices used in formal environments, such as schools and offices. In 2015, this trend will gain traction. Some schools are switching from print textbooks to digital textbooks on tablets. The tablets are lighter than books, easier on the environment and have been shown to increase student interactivity and creativity. In offices, tablets with detachable keyboards will become the go-to device for on-the-go productivity. “U.S. Cellular encourages the opportunities to bring technology into classrooms and works with business owners to determine the best way they can utilize tablets in their day-to-day operations,” Ellison said. Voice-over-LTE (VoLTE) is the next evolution in wireless calling. It provides several advantages over current voice calling, including higher-quality calls, power and spectrum efficiency related to bandwidth and the use of interactive services, such as easy video calling. The technology has been championed by wireless carriers for several years now, but progress in bringing the benefits to consumers has moved slowly until this point. Now, 2015 will bring more VoLTE-enabled smartphones, which will entice more carriers to adopt the technology for customers. “U.S. Cellular is currently conducting trials of the service and plans to begin rolling it out in 2016,” Ellison added. With wireless technology increasing access options to TV, movies and video, 2013 was the first year that traditional pay-TV services recorded negative new customers. The increased media consumption through computers, tablets and smartphones has led to an increase in “Cord Nevers,” young people who never have established a traditional pay-TV subscription. This trend will expand in 2015 as some major networks, including HBO and CBS, are planning to provide streaming options outside of the traditional TV format. U.S. Cellular provides its customers with unmatched benefits and industry-leading innovations designed to elevate the customer experience. The Chicago-based carrier has a strong line-up of cutting-edge devices that are all backed by its high-speed network, and currently, nearly 93 percent of customers have access to 4G LTE speeds. U.S. Cellular was named a J.D. Power and Associates Customer Champion in 2014 for the third time in four years. 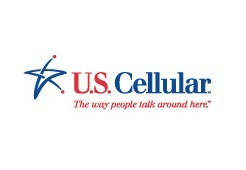 To learn more about U.S. Cellular, visit one of its retail stores or uscellular.com. To get the latest news, promos and videos, connect with U.S. Cellular on Facebook.com/uscellular, Twitter.com/uscellular and YouTube.com/uscellularcorp.